Continuing to focus on some lesser-known horror films for the month of October, I want to talk Scottish werewolves. 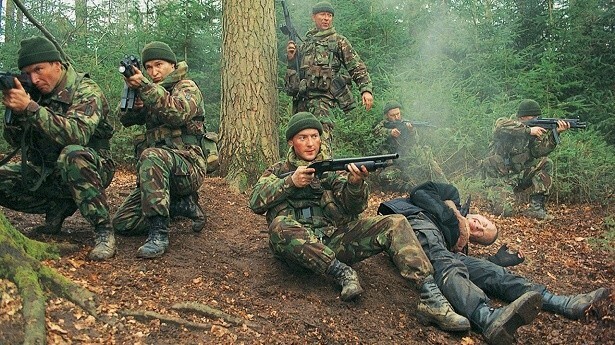 Directed by first-time director Neil Marshall, Dog Soldiers (2002) features a squad of British Army soldiers dropped into the Scottish Highlands to conduct strategic war games. What they don’t know is that they’ll end up going to war with local werewolves. The squad is led by a chummy Sergeant Wells, ably played by character actor Sean Pertwee (Alfred on the current Fox show Gotham), and held together by Private Cooper (Kevin McKidd), who you might recognize as Tommy from the film Trainspotting or the impressive HBO series Rome. You know not everyone will survive the night, but it’s fun to see how elite soldiers deal with something way outside their training. The cast is uniformly solid and the writing offers up all of the typical horror movie types. Besides the gruff-but-lovable Sergeant Wells and take-charge Cooper you get the prickly thorn-in-the-team’s-side, the goofball, the possible love interest, and the guy who just doesn’t want to be there. These characters don’t break from their roles too much. It’s okay: you know you’re just coming for the werewolves. The lambs line up for the slaughter. The question people generally ask when it comes to werewolf films is, “How do they look?” Considering Dog Soldiers‘ small budget, the answer is, “Surprisingly good.” The filmmakers costumed great creatures and shot scenes creatively to hide the slowness of the actors in the heavy suits: they hide them on the periphery of the screen when they’re moving, pan away from the them when they attack, and use ingenious flash photography. All of these techniques give you the impression of fast-moving werewolves. Why the guns, bro? I just wanna give ya a hug. Side note: you might not recognize Neil Marshall’s name, but after Dog Soldiers he gave us two very different films in the same genre with 2005’s The Descent and 2008’s Doomsday. The Descent made a huge splash not only because it’s a great film about tackling subhumans underground but because it had a predominantly female cast—very rare in horror films. Reviewers raked Doomsday over the coals, but it’s a fun ode to films like Death Race 2000 and The Road Warrior. 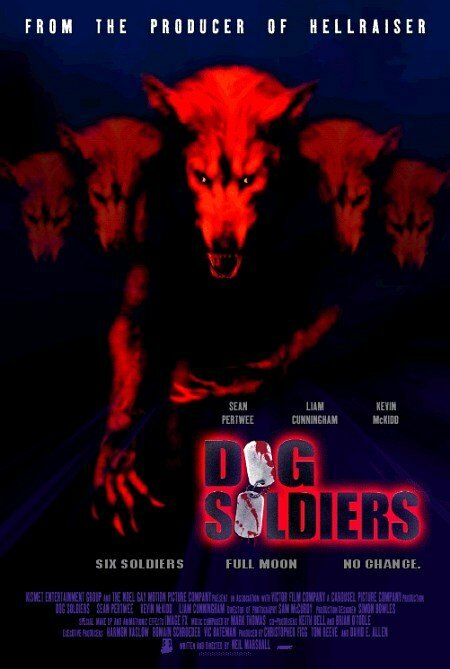 Its interesting approach and well-done special effects earn Dog Soldiers a spot in my top 10 favorite werewolf films. The plot is a little formulaic, but you don’t have to fix what isn’t broken. This film can be found on both Blu-ray and DVD. It’s currently available via Netflix rental and streaming, but streaming offerings change frequently, so keep an eye out. Feel free to discuss further in the comments below; just keep it respectful.